Target Practice for Wees and Poos - Boys and Girls! 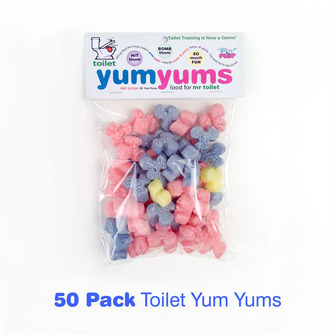 TOILET YUM YUMS are magical for toilet training. POO GAMES are the key. Feed Mr Toilet the Yum Yum then bomb it with your poo, hit it with your wee. Help overcome POO POO PROBLEMS - make it FUN! Boys have extra fun by making them spin in the WEEMAN! 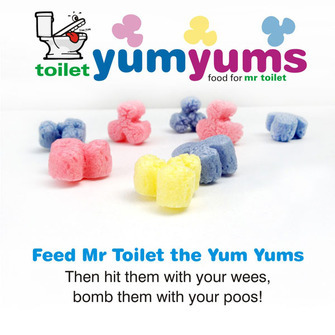 Feed Mr Toilet a Yum Yum... Then Bombs Away! Throwing into a Super Weeman and making it spin when boys hit it with their wees. 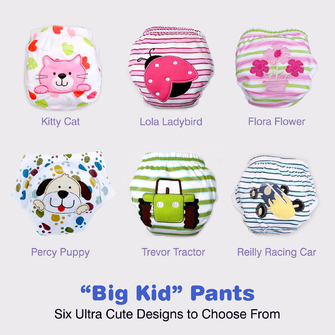 OVERCOME POO PROBLEMS - Poo Problems are very common AFTER 2 YEARS OLD. Research has proven it. Running away to hide to poo, wanting the nappy onto poo, withholding poo. One or more of these. The Yum Yums are magical for overcoming these challenges. HELPS YOUR CHILD RELAX - If your child is stressed or fearful, their muscles tense and they physically can’t go. The Toilet Yum Yums help you “refocus, make it fun” so your child is focusing on the game rather than the fear that was originally stopping them. LEAVING THE HOME - Can be used for Leaving the Home to encourage your child to use the public toilets. 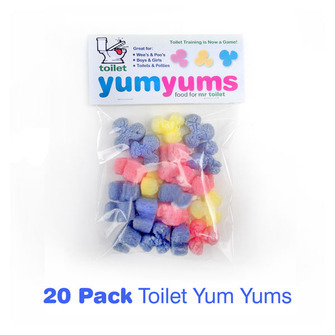 ENCOURAGES YOUR CHILD TO GO – The Yum Yums give you something tangible to work with to help your child “want to use” the toilet. TURN TOILET TRAINING INTO A GAME! Food for Mr Toilet! Turn toilet training into a game and your child will be racing to go! Introducing the magical Whizz & Plop Toilet Yum Yums, to encourage your child to use the toilet. Feed the hungry toilet a Yum Yum and then hit it with your wees and bomb it with your poos. Both boys and girls can enjoy the fun! Research has proven the poo problem epidemic sweeping Australia because of late toilet training after two….. and it just does not go away quickly. Just ask any parent with a Poo Problem. Often they have been trying to poo train their child for months, even years and unfortunately it is STILL happening. It just does not go away quickly without positive intervention. 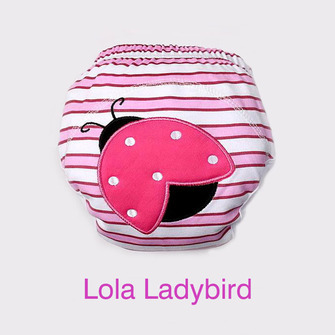 For extreme cases of poo problems or if you just want to avoid it altogether we recommend our very popular WHIZZ & PLOP GO POTTY PACK. 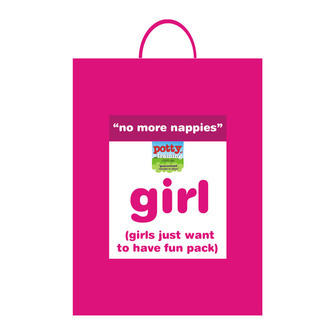 The POO PACK is perfect if your child is fully wee trained and you just need to focus on finishing poos. 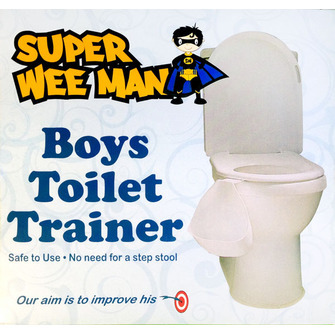 BOYS DREAM COME TRUE – MAKES BOYS EASY TO TOILET TRAIN! 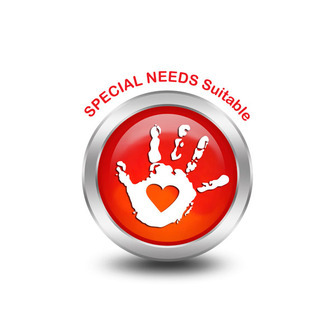 Boys can be a challenge for parents when it comes to toilet training. It is getting them there and keeping them there long enough to go. 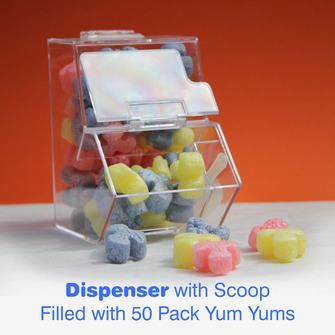 The problem is solved with the exciting Toilet Yums Yums. And when you combine the Toilet Yum Yums with the Super Weeman, you have a match made in heaven. Why? They spin around when you hit them with your wees!!! You try and stop your little boy from going. Girls just don’t have the benefit of that instant feedback and with “boys and their toys”…. It is simply irresistible! 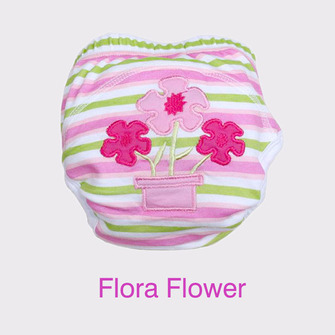 EASILY FLUSHABLE, SAFE AND NON-TOXIC! Made from starch and dyed with food colouring, they are bright, fun and exciting for children. 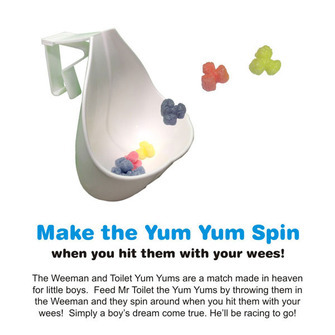 The Yum Yum floats inside the toilet bowl and is target practice for your child, until it eventually dissolves or flushes away. When thrown in the boy’s Weeman, they spin around when you hit them with your wees. They are fully biodegradable and totally safe if your child decides to eat one themselves instead of feeding Mr Toilet. They are made out cornstarch and food colouring. 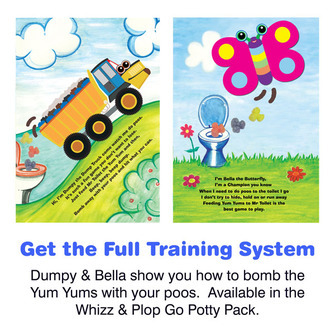 The Whizz & Plop Toilet Yum Yums help overcome toileting fears by refocussing your child onto something fun. By feeding the hungry toilet a Yum Yum and then their wees and poos, they forget their fears. Involve the whole family and they will feel like they are missing out on all the fun. "Quick before Daddy feeds the Yum Yum to Mr Toilet.... he's going to use them all up...... oh well, Mummy do it then." It is amazing how effective this works in encouraging your child to go. Make it game, tell the hungry toilet story and see the difference.